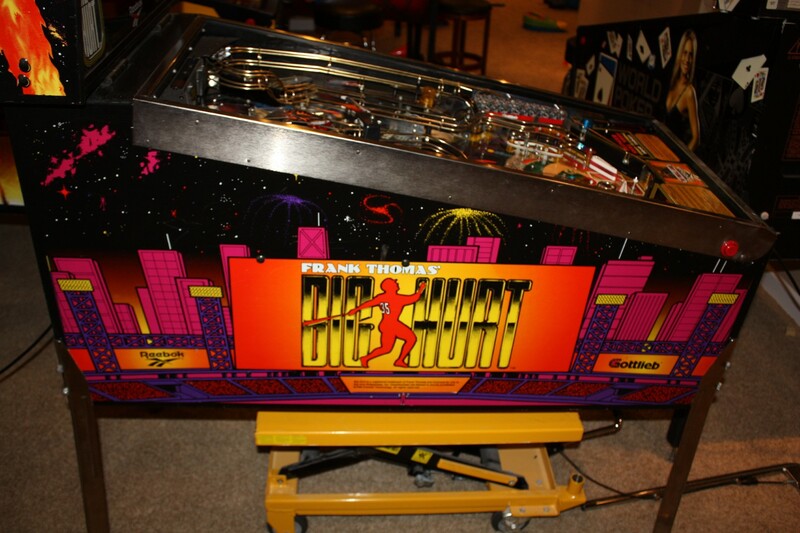 Everyone knows about the top pinball machines on the market, but what about the hidden gems? Those are a lot harder to figure out. There are a lot of pinball machines which are dismissed when they’re first released either due to code, theme, etc and are completely forgotten about for years, only for people to discover how good they are years later. I’ve compiled a list of the top 5 underrated pinball machines that would be worth checking out. Often these games are a lot cheaper than other games of the era but also might be hard to find due to production numbers being much smaller on a lot of them. This list isn’t in any particular order. The pinball machine made after the terrible movie, lol. I remember going to Congo in the movie theaters, it was supposed to be that summer’s big blockbuster but it fizzled pretty quickly. If I remember correctly the movie wasn’t close what I was expecting based upon the commercials. Luckily the pinball machine is much better. The pinball machine features a pretty awesome layout and pretty good rules (unless you’re a very advanced player, then it might be too easy). Basically the goal is to try and collect 100 diamonds on the playfield, and this can be done through a bunch of different ways, through shots, video modes, etc. The pinball machine made after the great movie. It’s problem though isn’t the theme, it’s the manufacturer. Nobody collects Gottlieb System 3 games. Everybody avoids them like the plague for the most part, mainly because they don’t feel the same as the Williams/Bally games and are generally a step behind overall compared to other games of the time. Stargate though is the exception. Featuring a fantastic ruleset and really good shots, Stargate is a game that can keep you challenged for quite a while. I owned one for over 5 years, the 8 multiballs, 2 wizard modes, and interesting shots kept me coming back to it. If I had a bigger basement I’d still own one, it was really fun. The pyramid shot is the coolest shot in the game, a fun shot that takes some skill to make. It’s probably one of my favorite shots in pinball, it just feels great every time you hit it. The ramps can be problematic on this game if the flippers aren’t at 100% strength, they’re very steep and shots that aren’t full power won’t make it up them. Also, sometimes the upkickers have issues getting the ball back up. This pinball came out with the most hype I’d ever seen at the time. Everyone was thinking that the game’s Limited Edition was going to skyrocket in price and that it would be 10k by Christmas. Then it came out and the code was completely unfinished, leading to review after review railing it as the worst game. This bad code continued on for a couple years until they finally got it fixed around version 1.50. By this time though, everyone had completely written X-Men off as a lost cause, a game nobody cared about. The production of the game at Stern also appears to have been small, the number of users who own it on pinside is quite small compared to other Stern games. So how is it now? Basically, I think it has one of the best rulesets of the modern Sterns if you like mode based games. There are two separated paths, heroes and villians, and you have to complete them to make it to each wizard mode. Completing the 8 heroes will get to Danger Room, a pretty awesome wizard mode. Completing the 7 villains will get to Dark Phoenix, a very hard and also awesome wizard mode. I find X-Men to be a great game because it’s not as linear as most games, when you start the game you don’t know whether you’ll be completing Heroes or Villians more (you almost never complete both in a game, as it’s hard to complete even one side). This adds a lot replayability to the game. The biggest downsides to X-Men is that it has tight shots and some pretty bad voices for Beast, Storm, and Rogue. Also the multiballs aren’t the greatest overall due to the lack of jackpot callouts. What, a sports game on a pinball list? Yes, most collectors will poo-poo all over NBA Fastbreak. Evidently people who collect pinball machines do not like sports, as almost all sports based pinball machines are among the lowest valued games on the market. NBA Fastbreak though is hidden gem. The cheapest Williams/Bally game of the late 90’s, you can pick one up for $2000 to $2500. The scoring is all basketball based (1, 2, and 3) instead of the usual millions, so that also pisses off a lot of collectors. You can change it to million based scoring but I find the basketball scoring to be a lot better. The best part about the scoring is that everyone who comes to play it understands the scoring right away. On a normal game, it’s confusing what scores points. On NBA Fastbreak, the points are pretty obvious…it’s whatever goes into the basketball. The goal is to reach the NBA finals by accomplishing a series of goals that include some multiballs, combos, and even trivia (from 1997, which makes it hard for everyone born after 1985, lol). I don’t think there’s really a weakness on the game, it’s either you’re going to love it or you’re going to hate it. I can’t see ever giving mine up, it’s just too popular with guests and it honestly might be my favorite WPC-95 game as well. However, if you don’t like the NBA, you’re probably not going to like this game. It’s ironic that one of the most popular arcade games of this period (NBA Jam) has a sister pinball that is one of the most least popular of the same time period. Just goes to show what different collectors like. What, another Gottlieb? Yes, another Gottlieb. Like NBA Fastbreak, you have to like the sport in order to like this game. Nobody who collects pinball machines likes baseball, so its value is also very low. It’s a game very similar to Stargate in that it has a great ruleset, but also just like Stargate it’s penalized for being a Gottlieb. Sound and graphics are subpar for this era, but the shots are great and moving through the innings is a lot of fun. There’s some decent strategy with the baseball cards thing in the game, you can earn them and trade them in for different rewards. Some are pretty good, it’s one aspect where you can really have an advantage over another player if you know all the minor intricacies. That’s the end of my top 5 underrated pinball machines. I hope my list has helped you consider some games you may not have looked at otherwise. Good luck in your hunting for games!